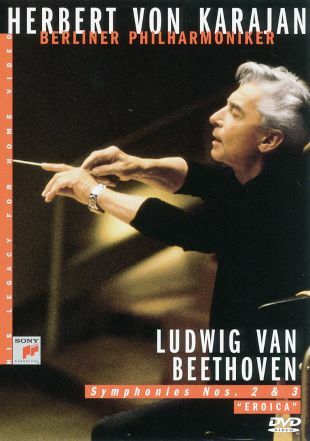 The legendary Herbert von Karajan leads the Berlin Philharmonic for this performance of two of Beethoven's symphonies: Symphony No. 2 in D Major, Op. 36 and Symphony No. 3 in E Flat Major, Op. 55 (Eroica). Shot for German television in 1984, the film was directed by von Karajan himself, and features a full digital soundtrack.